The original drive created by George Clarke (1768-1835) approached the house from the southeast, and the stable yard and the outbuildings were hidden from view. 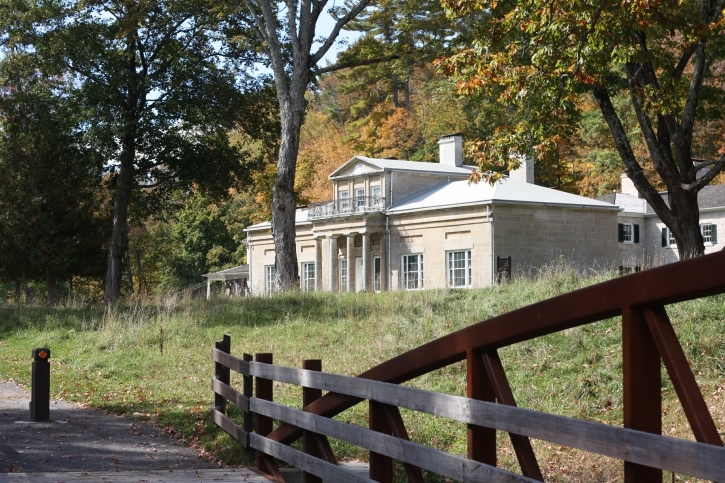 By the 1860s his son, George Clarke, Jr. (1822-1889) altered the approach to the “back road” that connected Hyde Hall to the Home Farm. This remains the current approach to the house.